Sliced in half by the construction of I-279 in the 1980s, Deutschtown has been rebuilding and reinventing itself for three decades. 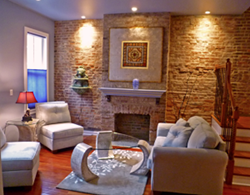 The 2011 self-guided Historic Deutschtown House Tour spotlights the momentum of this neighborhood’s decades-long revitalization efforts. It features recently restored and distinctive homes, many built in the late 1800s, and some modern surprises. Showcasing an array of architecture, interiors and styles in 7 homes (and 5 gardens), the tour also offers ethnic music and diverse cuisine at local restaurants. 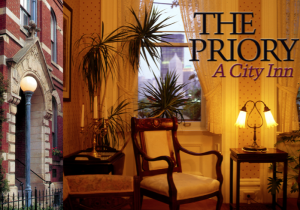 In addition to the stunning homes, tour goers can experience a new tour feature: the optional end- of-the-day wine tasting from 3:00 to 5:00 in the courtyard at the Priory Hotel, formerly a German Catholic monastery. 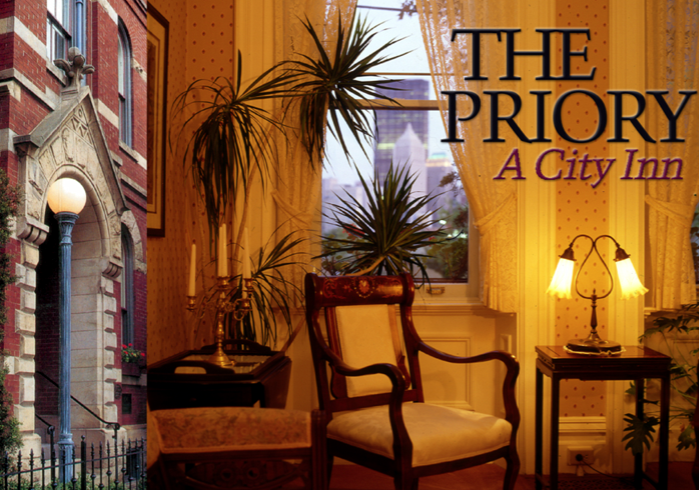 Restored in 1986, the internationally acclaimed and newly expanded Priory Hotel is a centerpiece for the Tour, which begins in its garden courtyard on Lockhart Street. Free parking is available in the large lot adjoining Pittsburgh’s Grand Hall. 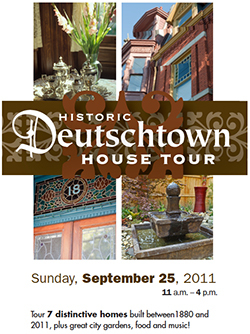 DISCOUNT HOUSE TOUR TICKETS: www.deutschtown.org $12 in advance, save 25%… or $15 at the door. Students $5. Discounts of $2 per ticket for groups of 6 or more. Advance discount ticket sale locations include Priory Fine Pastries, Priory Hotel, Sweet Time Cafe, Amani Café and Bistro To Go. 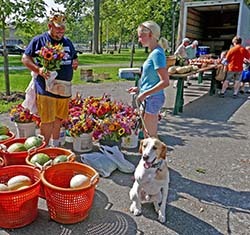 PROCEEDS BENEFIT the ongoing community development efforts of East Allegheny Community Council, which has been responsible over the past three decades for creating more than 80 homes—some meticulously restored, others designed and built new. Once part of historic Allegheny City and a heavily German-settled community, some key remnants of Deutschtown’s German heritage still exist here: The Priory Hotel and Pittsburgh’s Grand Hall with their colorful Blumengarten, Max’s Allegheny Tavern, Penn Brewery and Teutonia Mannerchor, a popular private German club. In related revitalization efforts, the community’s historic East Common park is nearing completion of the second phase of a multimillion dollar restoration. (In the mid-1800s the 87 acre Allegheny Commons was grazing land for sheep, cattle and pigs within Allegheny City.) Funds from a community benefits agreement with Rivers Casino are upgrading the business district as well. Deutschtown’s East Ohio Street business district features grand 3-story historic buildings. 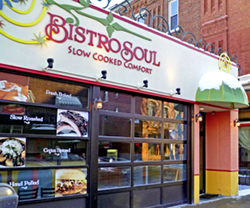 Bistro To Go recently expanded next door with Bistro Soul, offering slow-cooked southern comfort foods. For sweets it’s Rita’s or Priory Fine Pastries. For unusual gifts it’s Sweet Time Café and General Store. For culture, it’s PhotoAntiquities’ huge historic photo collection. Into the night, one can enjoy bluegrass, blues or rock bands at The Park House, along with microbrews and craft beers, plus free peanuts and popcorn. For more music, the popular Pittsburgh Banjo Club brings down the house every Wednesday night at the local Elks Lodge. Thanks to TOUR SPONSORS: Citizens Bank, First Niagra Bank and Highmark. CONTACT: Randy Strothman, Randy@StrothmanAssociates.com or 412-322-9720. Randy Strothman is part of a marketing professional, volunteer team promoting the tour and branding the community.